Is your first thought when arranging intercity travel to book train tickets? With yet another inflation busting ticket hike on its way in January, one can find it harder and harder to see value for money in train fares. For some time Pinnacle has been providing cost effective and flexible door-to-door con-venience for corporate clients who need a comfortable and reliable travel solution to inter-city journeys. 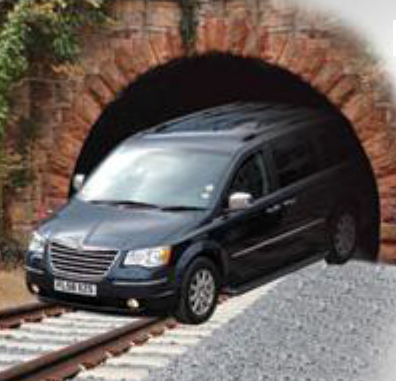 With a national network of top-of-the-range Chrysler Grand Voyager MPV’s, Pinnacle is ideally positioned, with the perfect vehicle format for both indi-viduals and small groups looking for confidential travel space to extend their working day. With the benefits of a dedicated car and profes-sional driver, the convenience of the service really helps to maximise productivity. Possibly overlooked as “too expensive”, you may be sur-prised to understand the rela-tive price comparison between train tickets and premium car services like Pinnacle. Clearly it is not the solution for every occasion. However, when flexibility and complex itineraries are required; when small groups are travelling together; when consideration is given to station parking costs, taxis or the need for overnight accommodation – Pinnacle’s effective ‘business class’ travel solution adds up to make sense. Intercity day returns, one-way solutions, late night returns, roadshows and regular commitments—Pinnacle is your partner! Taking you to the end of your drive and not just to the end of the track.